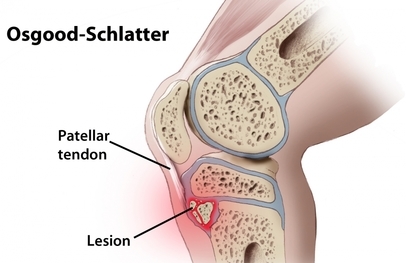 Osgood Schlatter, also called Osgood-Schlatter Syndrome or Osgood Schlatter’s Disease, is a big word for painful knees in adolescents. When a teenager goes through a growth spurt, the tendons around the knee become tighter and create strain on the growing bone. Especially when the child engages in sports (contraction of the quadriceps), the symptoms can get worse. Your podiatrist at The Foot Clinic can help your child make well informed choices about the type of activities, ways of performing them, and applying the right stretches to alleviate the pain. 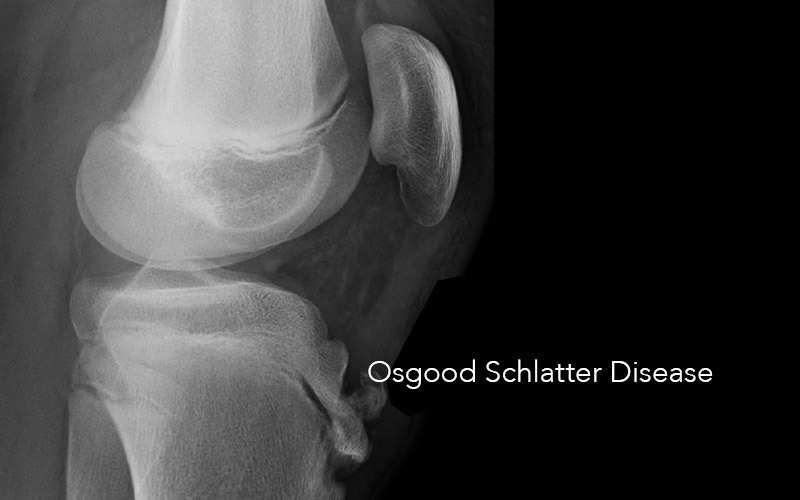 Osgood Schlatter typically causes pain in one knee, or in both knees. When you straighten the knee, or when you squat, the pain may get worse. The pain may disappear or ease when you’re not moving, and get more intense as you run or use the stairs. Sometimes you may notice some red skin in the knee area, or find that your quadriceps muscles are a bit bulky. The main known cause for this condition is a growth spurt. Often boys would go through a growth spurt around the age of 13 or 14, and girls around the ages of 10 or 11. If your child is doing a lot of sports, then there is a slightly higher risk of developing the problem. If the child has suffered from a previous knee injury, then there is a higher risk of experiencing this type of knee pain. Shin splints usually happen in the lower half of your shin (also called the tibia). They mostly occur right above your ankle, to halfway up your shin, but you can also get a shin splint in about any part of your lower leg. A Bio-Mechanical Assessment is done to examine the bio-mechanics of your feet and your whole body, from there our Podiatrist can determine what areas need attention. A paediatric assessment is used to assess the exact cause of your child’s painful knees. Our podiatrists are trained in an extensive range of areas in regards to children’s health, including Osgood Schlatter and growing pains. After we have assessed the causes, we may focus on pain relief initially, using icing and reducing the inflammation while building in rest or limited activity. Then, our podiatrists will help your child make changes to their physical activities, and build stronger muscles and ligaments with customised stretching exercises. We will use a full biomechanical assessment, to scan for any other abnormalities in foot positioning, and recommend a treatment plan optimised for your child’s comfort and overall health. Our podiatrists have a particular expertise in the biomechanics of the human body. Our feet, ankles, legs, knees and hips are working together to help us move, and they are all interconnected. We work with a large variety of patients in all areas of podiatry, including athletes and sports professionals. This has helped us develop a particular interest in combining the latest innovative technology, with accurate measurement and a holistic view on all aspects of the body’s biodynamics. 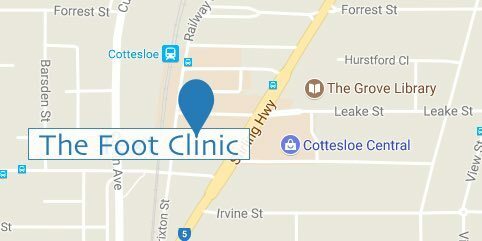 If your child suffers from unusual knee pain, please contact The Foot Clinic, at Cottesloe Central.